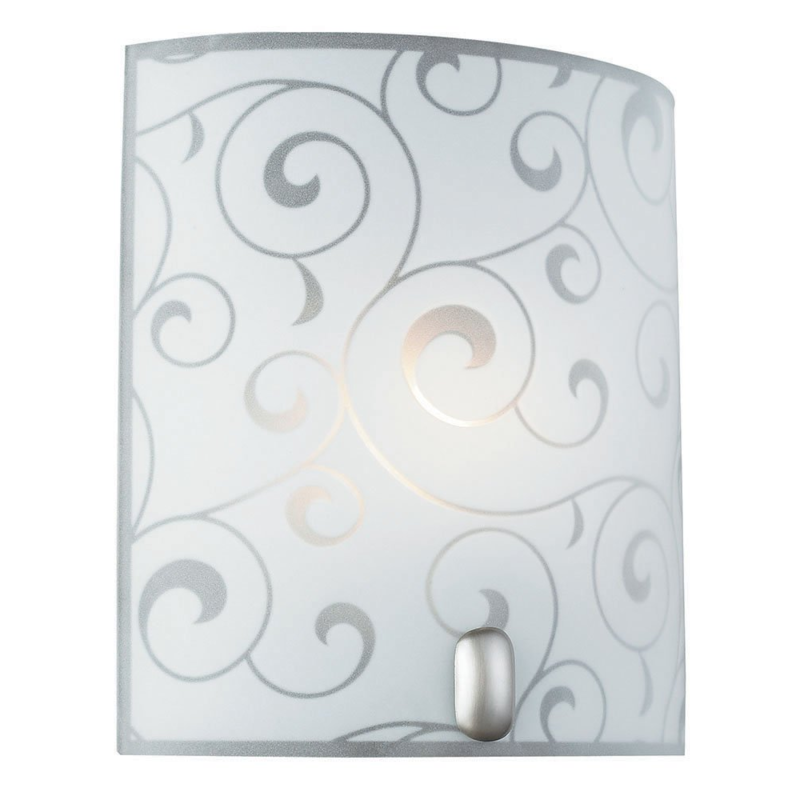 Contemporary and stylish rectangular flush opal glass wall light fitting from Happy Homewares. Features transparent floral decoration and chrome metal clip. Product dimensions: Height - 22cm, Width - 20cm, Projection: 7cm. Requires 1 x maximum 60watt ES GLS bulb (not included). Low energy and LED bulbs may be used if desired. This fitting is suitable for dimming (as long as the bulb being used is also suitable for dimming).